Such a blessing to have grandchildren! But what happens when the biological parents are unable to raise that child? Do you step in? The decision to step in is not to be taken lightly. Raising any child is a journey and it doesn't always go as planned. We have full, legal custody of our granddaughter. Hopefully this brief information will be of interest or help to grandparents who are parenting again. 1. check out www.cangrands.com which is spear-headed by a woman named Betty Cornelius who lives near Ottawa, ON. This is a national, informal support group for kinship care families. For whatever country you are in, do a search for kinship-care organizations and connect with one. 3. Arrange for counselling through your family doctor, if it is necessary. 4. Join a parenting or support group of some kind, if you feel isolated. Try out more than one support group until you find a good fit. 6. Money! In our circumstances we did not ask that the bios give us any support money. We wanted our granddaughter to be in a safe and secure place and did not want their money. It would be nice to have financial support but that is not always possible and it affects the child's well-being if people are fighting about support money. 7. Stay CALM... Look after yourself! Whatever you like to do for stress-release-do it. (suggestions: yoga, exercise, walking, meditation, deep breathing, give up coffee and alcohol, start a gratitude journal, take breaks and leave your grandchild with an individual you trust, sing, focus on positive thoughts). 8. 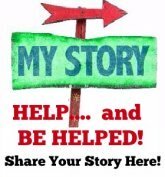 If you are in the situation of raising another child in your "retirement" years and would like to hear our story and share your story, feel free to contact me.